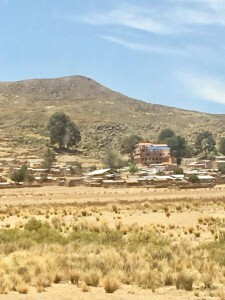 With President Evo Morales’s recent land reform and re-development of traditional land management methods, which include a rotation of community leaders overseeing land use and development, Hugo had returned to his ancestral lands to re-claim them, reconstruct the small house there and cultivate potatoes, a native crop. But now with the drought and uncertain agriculture conditions, he is leaving it empty again. What fields look like with traditional grasses holding down the topsoils. Contrast this to the featured photos of a drought affected field and no grasses. Traveling from La Paz to Oruro, it looks like winter. The once light green hills are now vast empty places of dry, plowed dirt, surrounded by fringes of wild green plants – the remnants of what once were slopes dotted with scrubby brush, tolla grasses and tufts of green patches. Dust devils are lifted with the wind. Industrialized agriculture has taken over the highlands by storm – via donated Chinese tractors from what I heard. Unfortunately, the climate and appropriate use of technology have not kept up. Fragile, highland soils are now plowed in inappropriate ways, leaving the top soils vulnerable and eliminating important carbon inputs such as natural grasses and animal dung. It seems the wheat, quinoa and potatoes that were meant for those lands were either not planted or were planted but did not germinate. Where are the university programs with the students making analysis, innovations and teaching best practices? Where are the extension agents? The Department of Agriculture? The infrastructure we are so accustomed to in the US, is not present here. 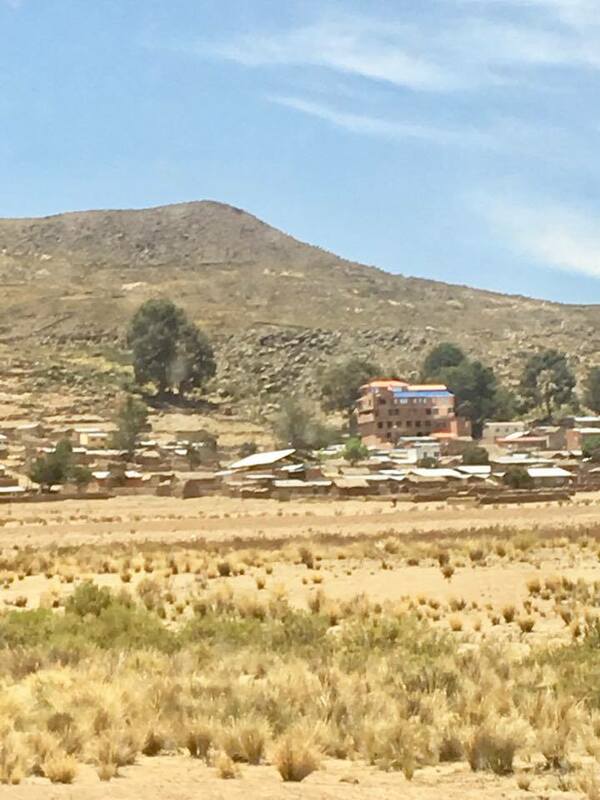 I’m told that even the Center for Quinoa Research built in the quinoa heartlands of Salinas, and managed by Oruro’s state university (UTO), is no longer staffed and its key has been lost. I hope to be out there in a few weeks to learn more about this myself!